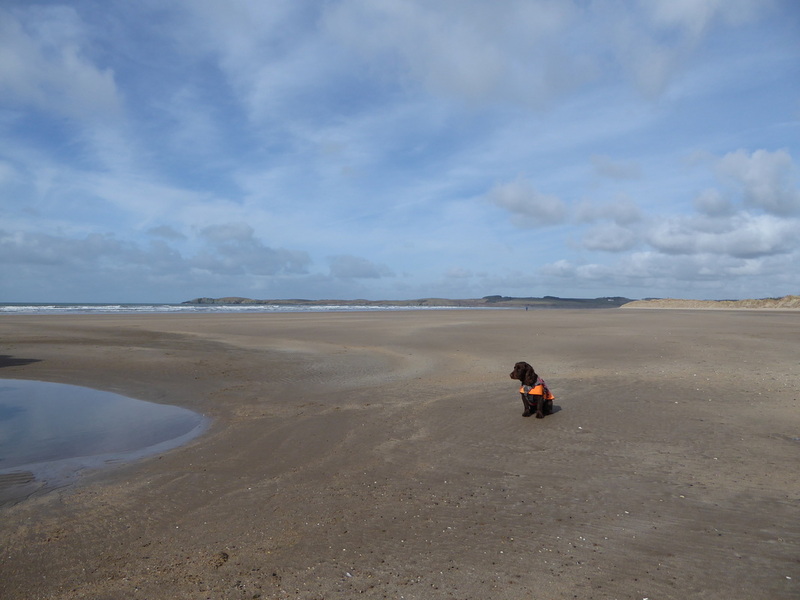 It is not often you stumble across a place that is as quiet as it is beautiful. 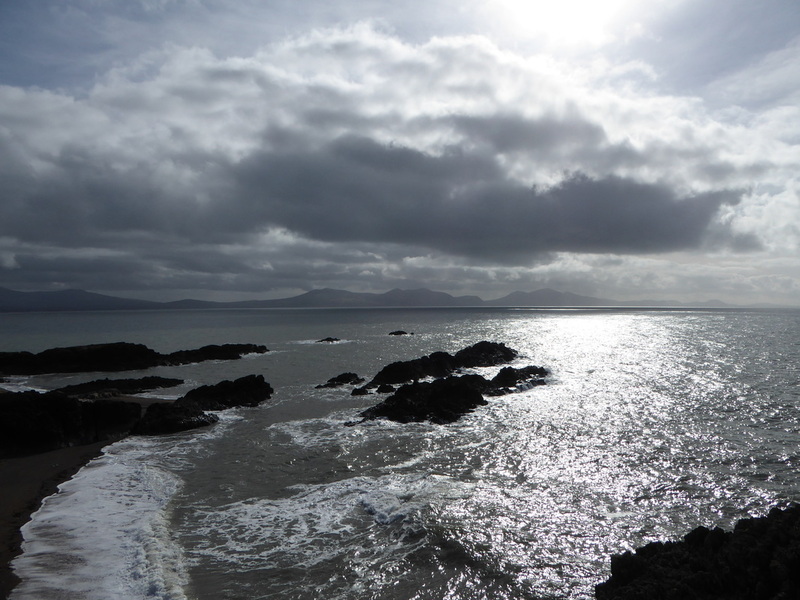 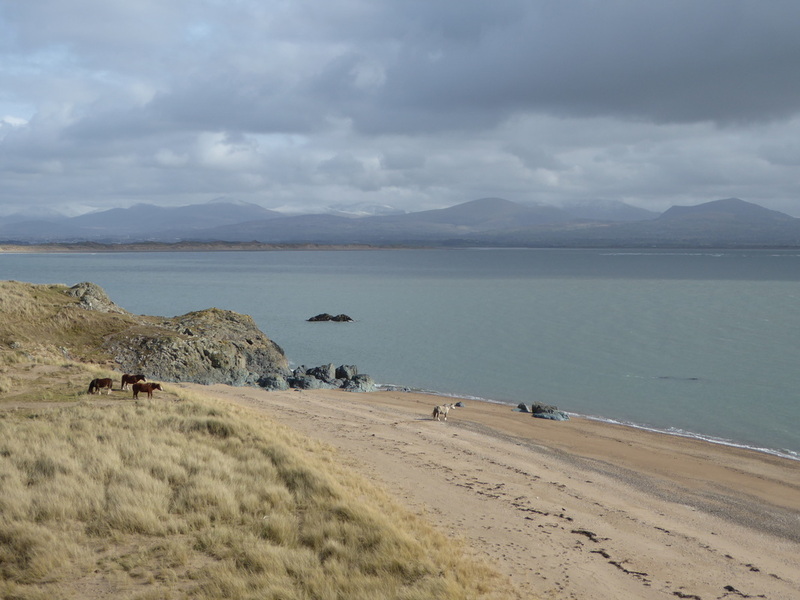 Llanddwyn Island (Ynys Llanddwyn) is a magical place sitting at the far end of two beautiful beaches. 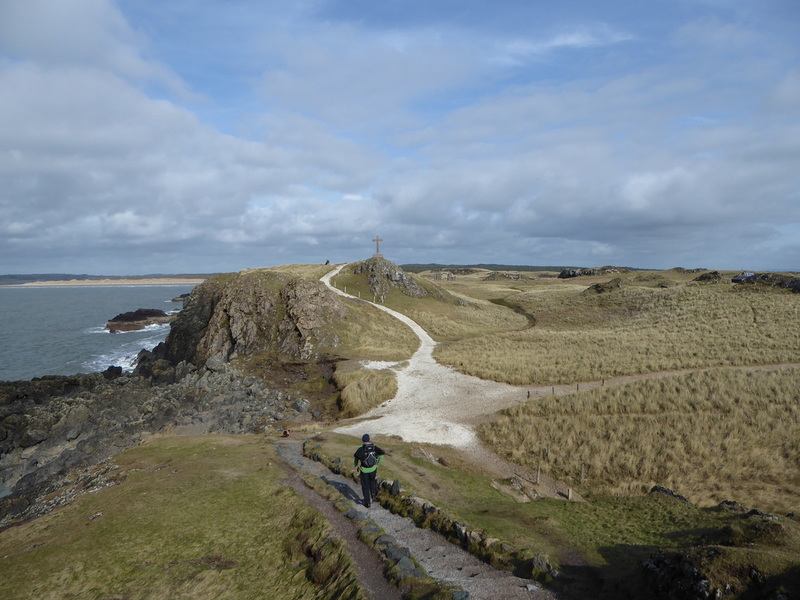 This narrow finger of land is an idyllic place for a picnic in good weather and the dunes, large rock outcrops and mixture of historic buildings makes it an ideal spot for an afternoon of exploration. 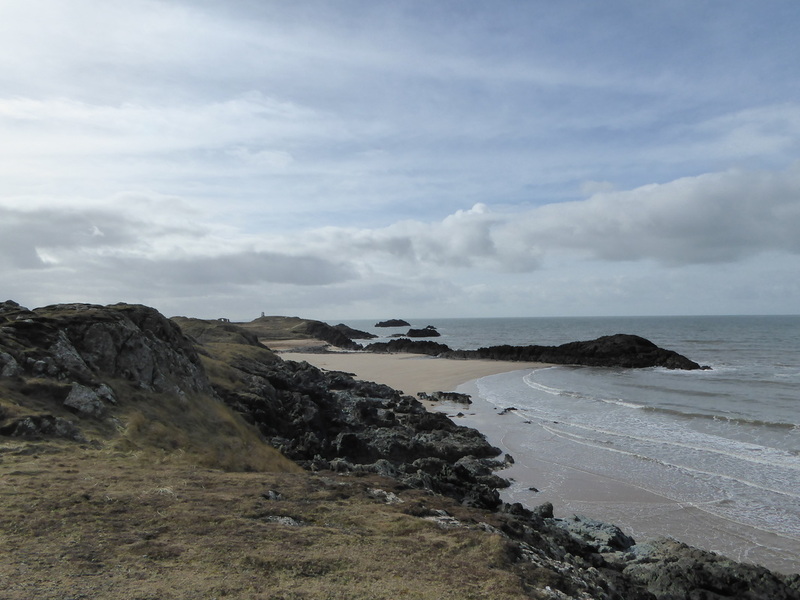 Whilst not quite an island per se, it remains attached to the mainland but is cut off at high tide therefore consult the tide tables (see above) before attempting a visit. 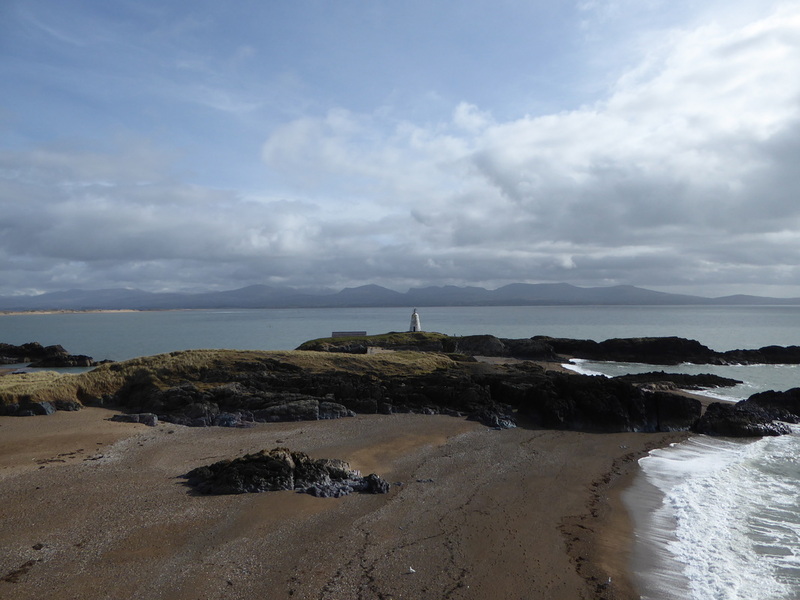 The name Llanddwyn means "The church of St. Dwynwen". 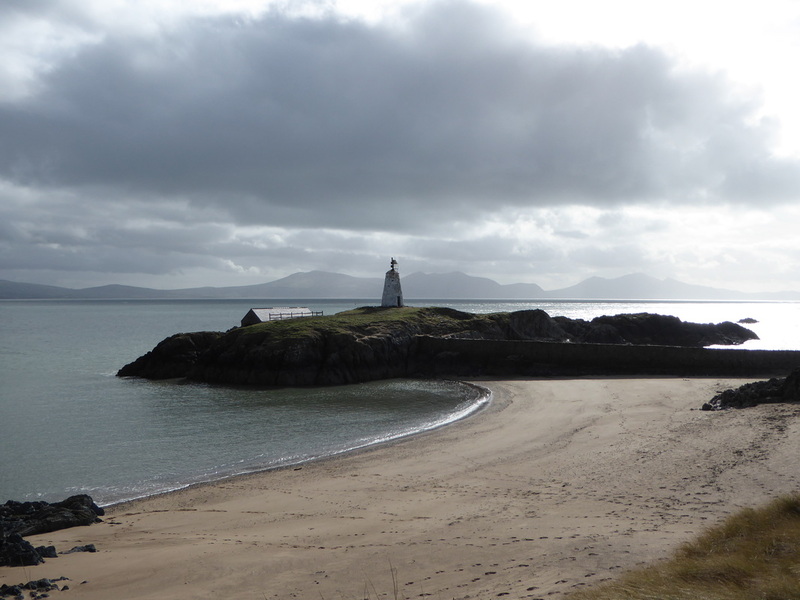 She is the Welsh patron saint of lovers, making her the Welsh equivalent of St Valentine. 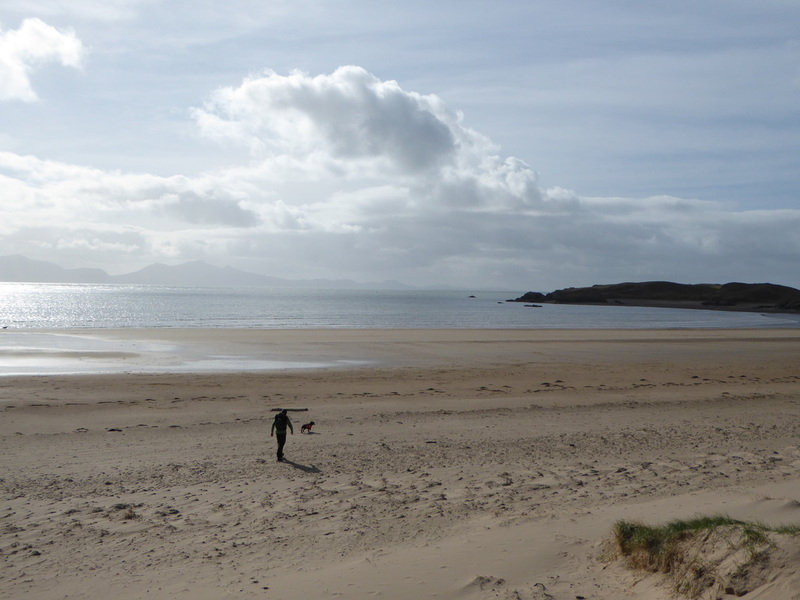 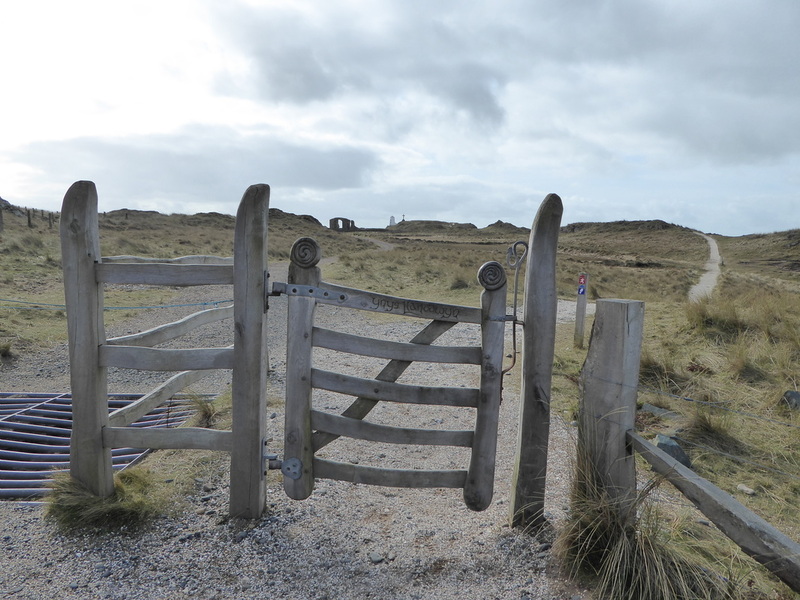 ​Llanddwyn Island conducts its geographical presence with a genuine romantic mysticism - so much so that on occasion this can be distracted from its more functional usage. 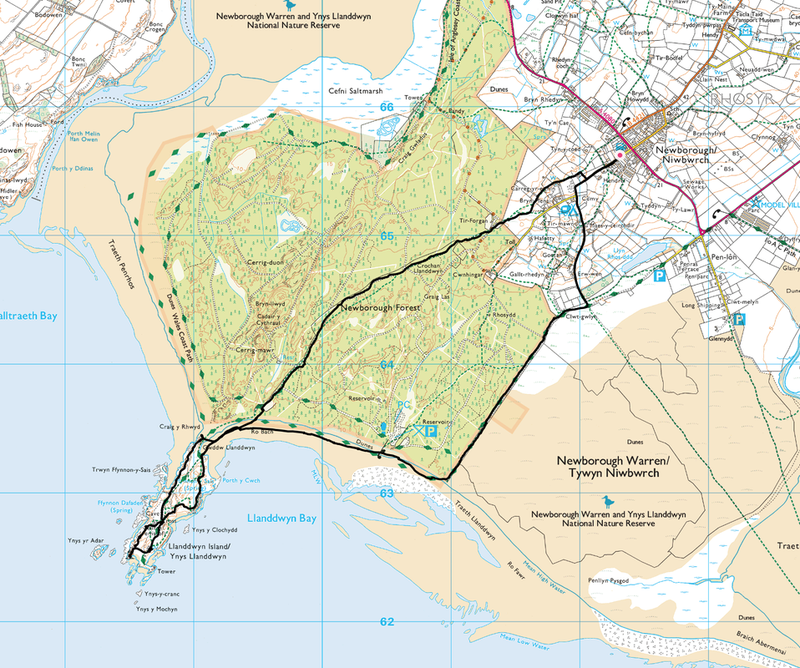 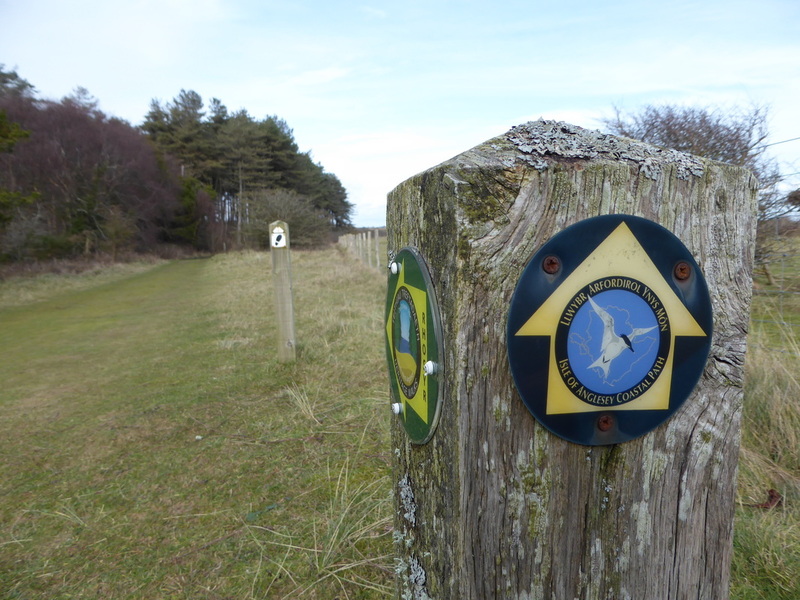 The walk started from the village of Newborough where there is ample roadside parking although we parked in the village Car Park which is free of charge. 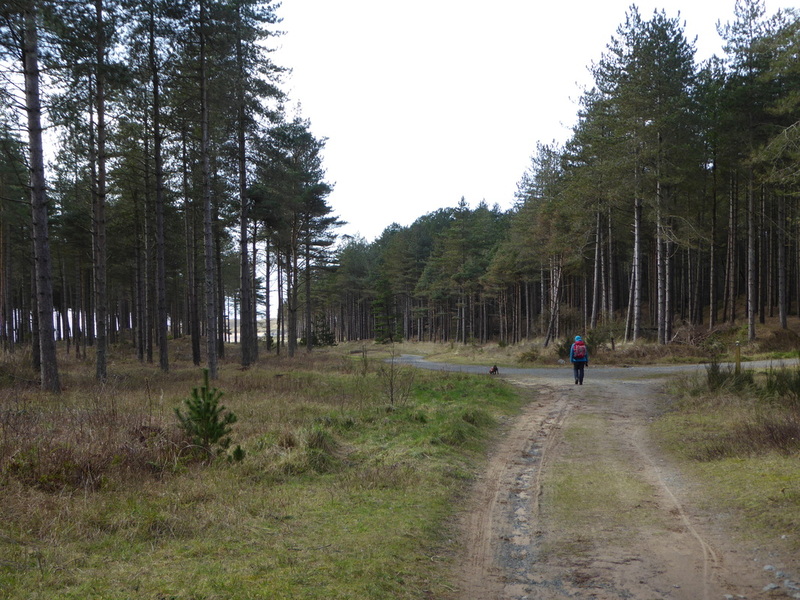 The first part of the walk is along a quiet lane to reach St Peter's Church before heading across farmland to arrive at the entrance to Newborough Forest. 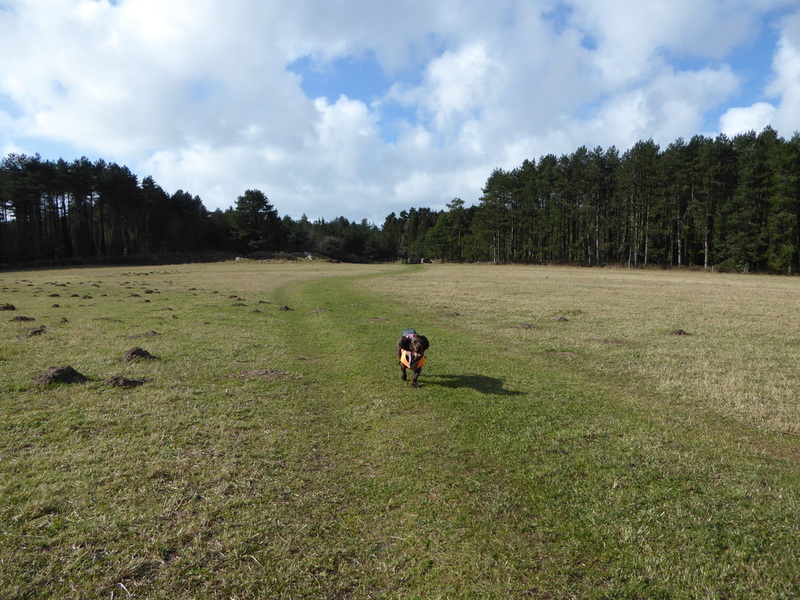 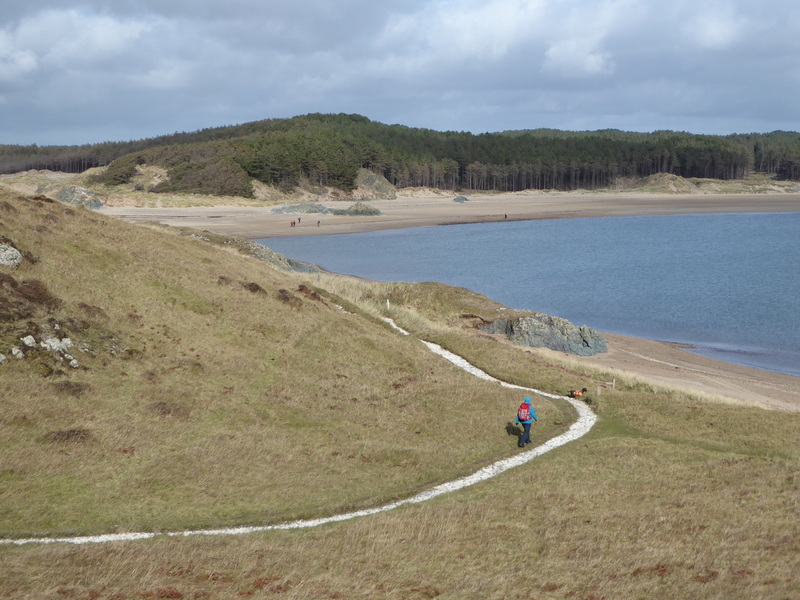 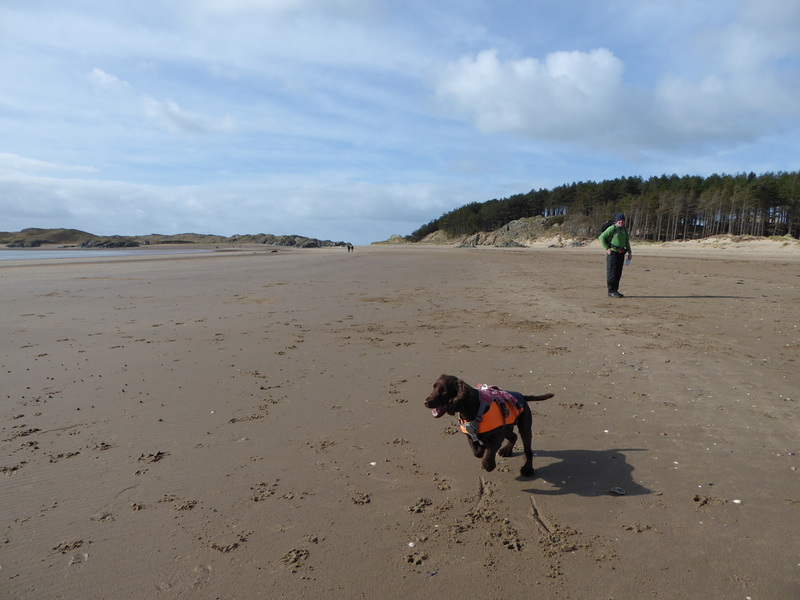 The track then meandered through the forest to reach a clearing which gave access to the dunes of the beach at Ro Bach. 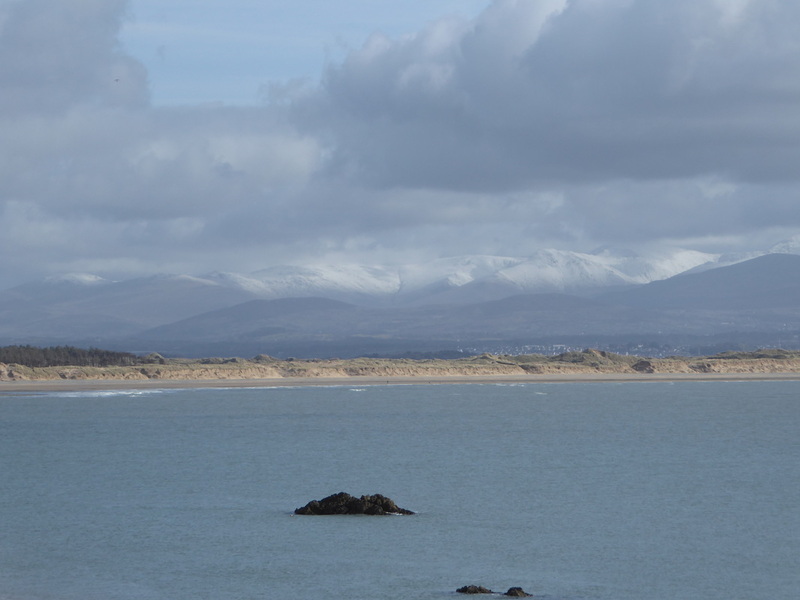 The views from the beach across to Snowdonia and the hills of Lleyn are superb. 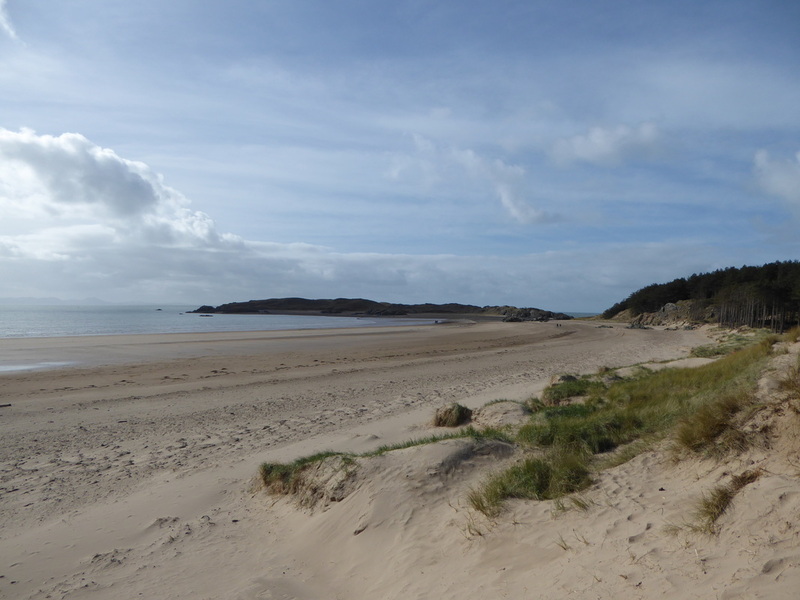 Here began a very pleasant walk along the beach of Ro Bach to reach the island itself and there is an option here to head along the beautiful yet deserted beach of Traeth Penrhos. 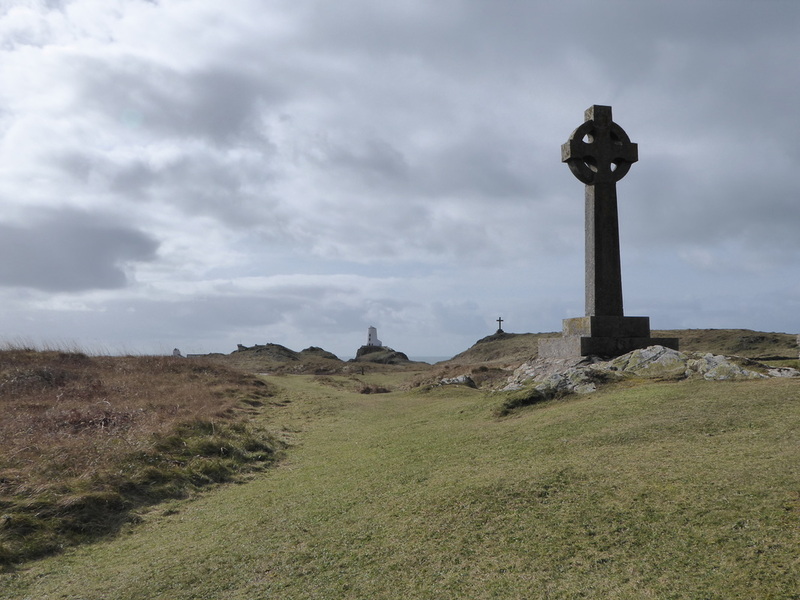 Several paths lead on to the narrow peninsula of Llanddwyn therefore we headed over the spine to reach the ruins of St Dwynwen's Chapel, firstly passing the Celtic Cross. 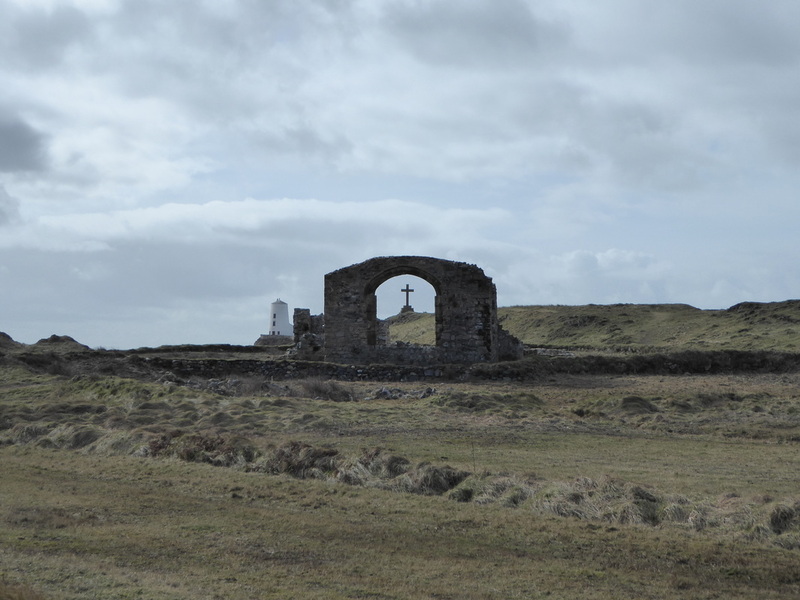 From the Chapel it is a hundred yards or so to the impressive St Dwynwen's Cross before a short transit to reach Twr Mawr (Big Tower), from where there are impressive views back along the spine of the island. 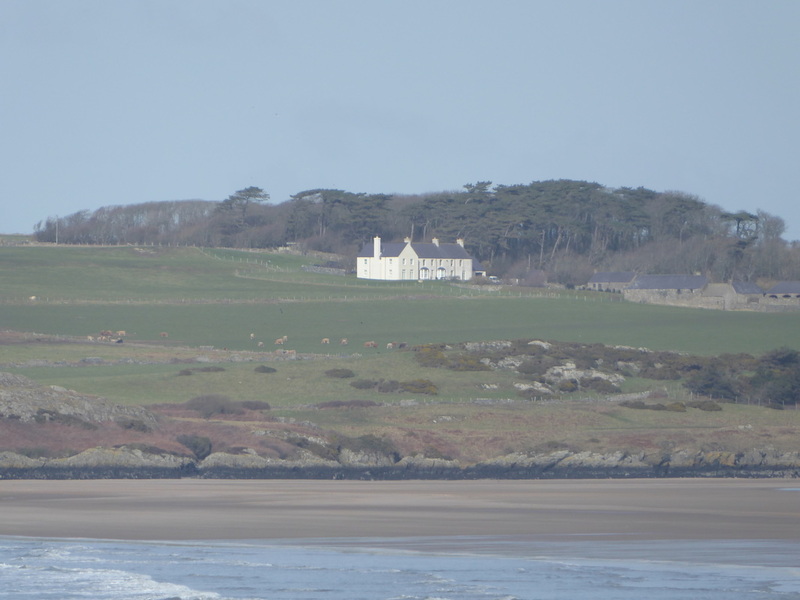 Retracing our steps, we then headed to the east, passing Twr Bach and then reaching the former pilot's cottages before arriving back at the beach. 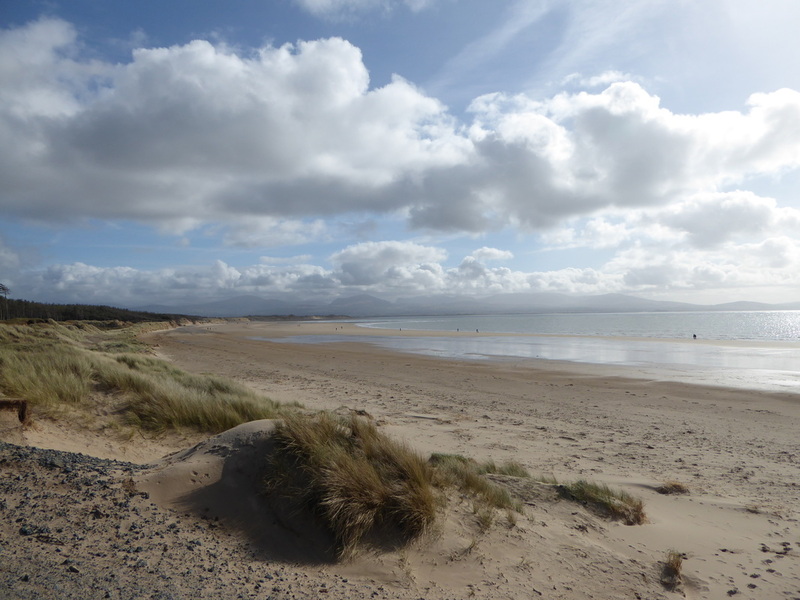 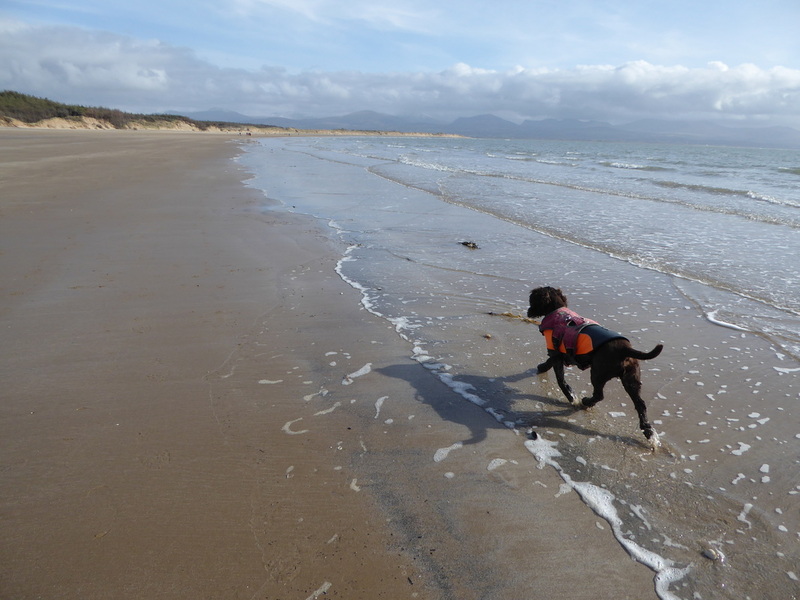 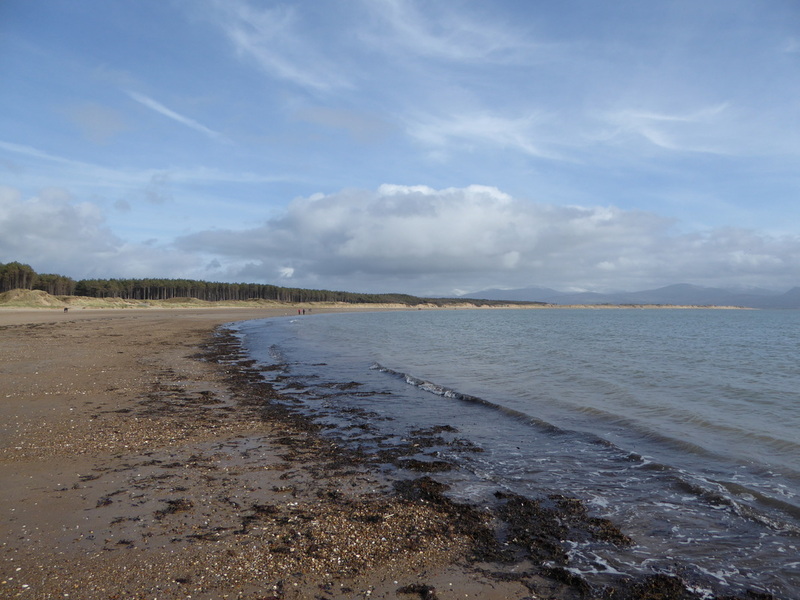 We then enjoyed a long walk along the edge of the sand for about a mile, enjoying the views of the Carneddau over in Snowdonia before heading northeast to the south western corner of Newborough Forest. 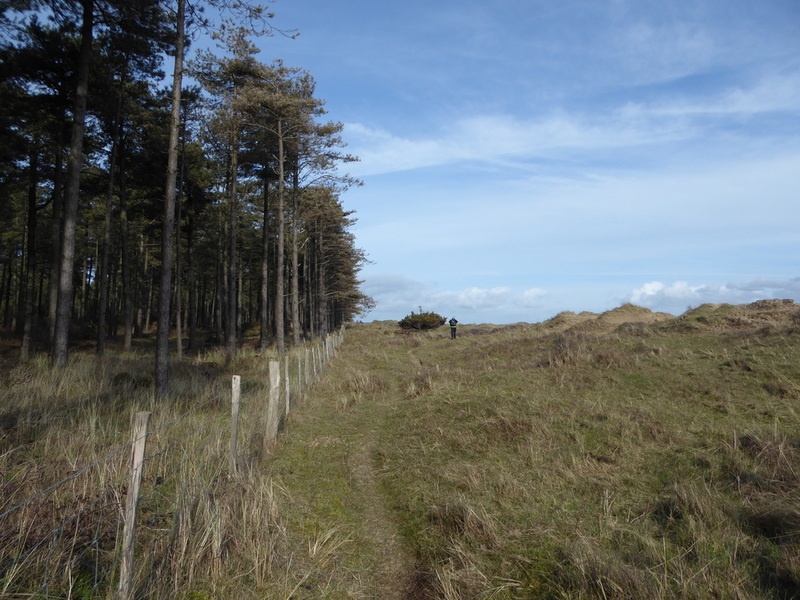 Here the Anglesey Coastal Path handrails the forest edge and Newborough Warren to eventually arrive at a quiet lane which eventually rejoined the outward route near St Peter's Church. 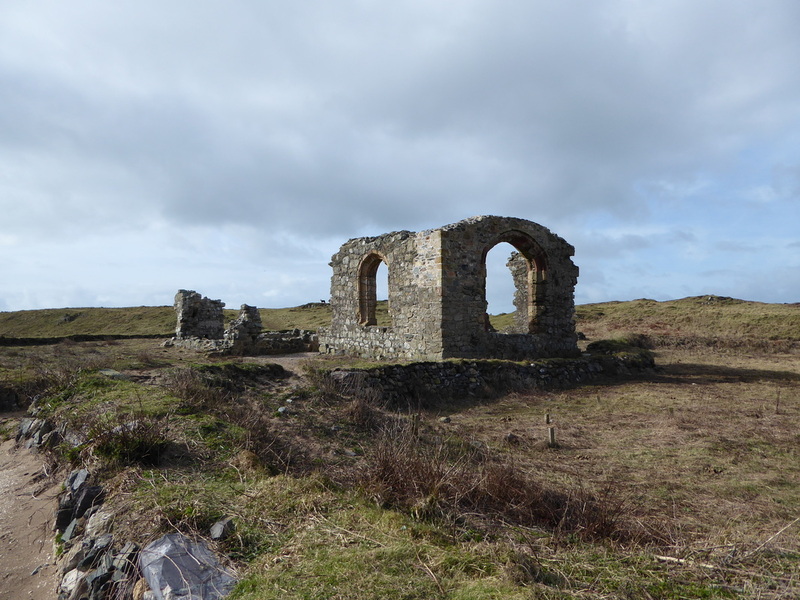 This is a truly delightful walk, full of interest and with stunning views over to Lleyn and Snowdonia it should really be completed on a day where the weather is set fair. 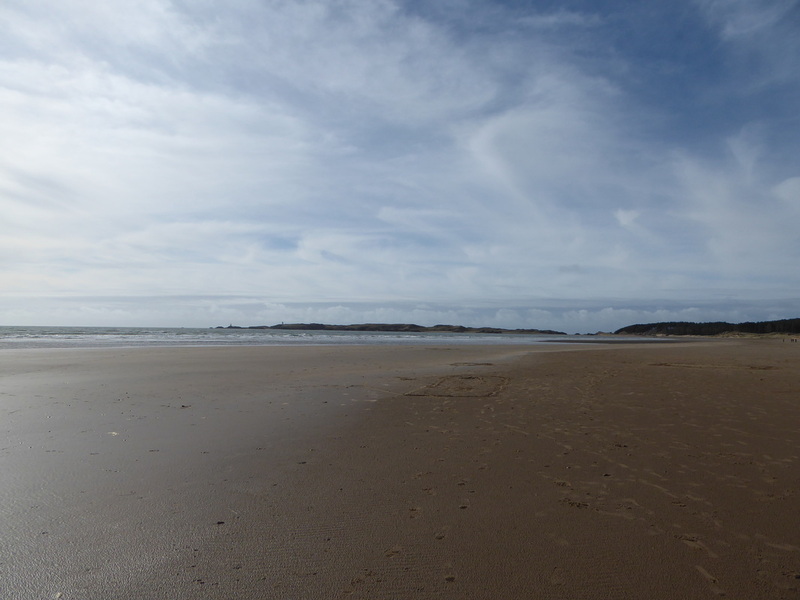 The island itself is in such a beautiful setting and the beaches are sandy, wide and stretch away in the distance. 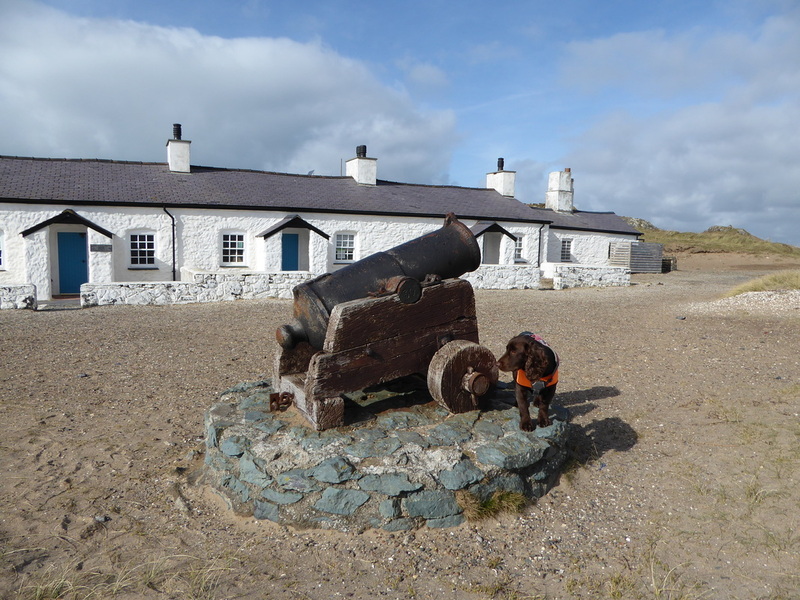 Well worth a visit although the area could be busy at weekends in the Summer! 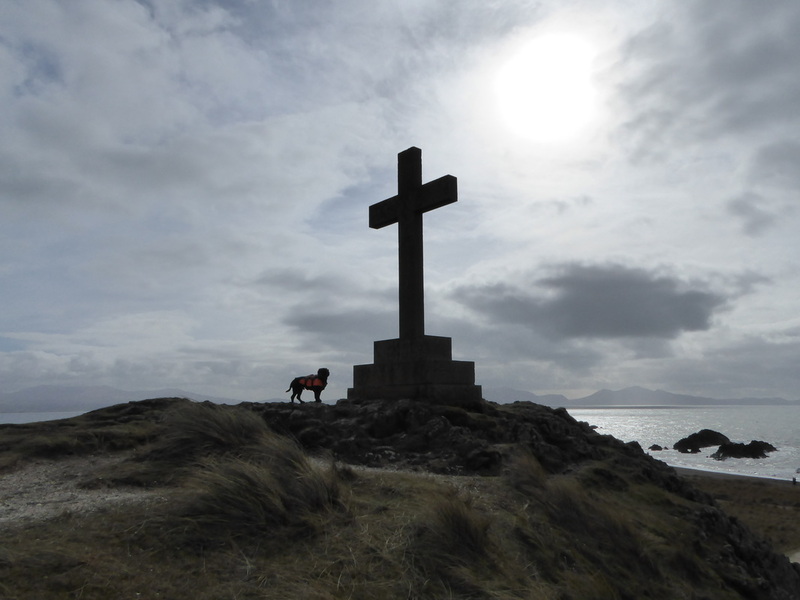 Fudge at St Dwynwen's Cross. 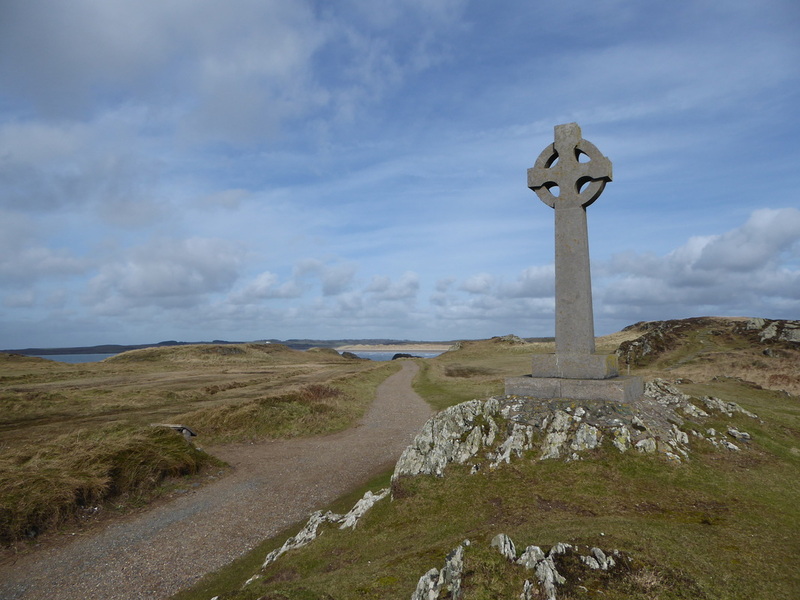 The cross is inscribed 'On the sixtieth year of Queen Victoria', which means it was probably erected in 1879. 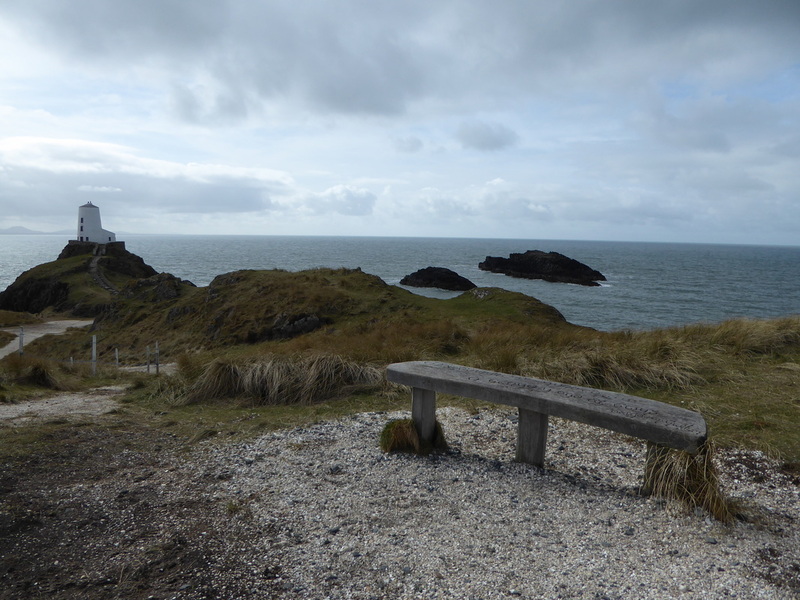 We had lunch here - such a beautiful spot looking to Twr Mawr Lighthouse. 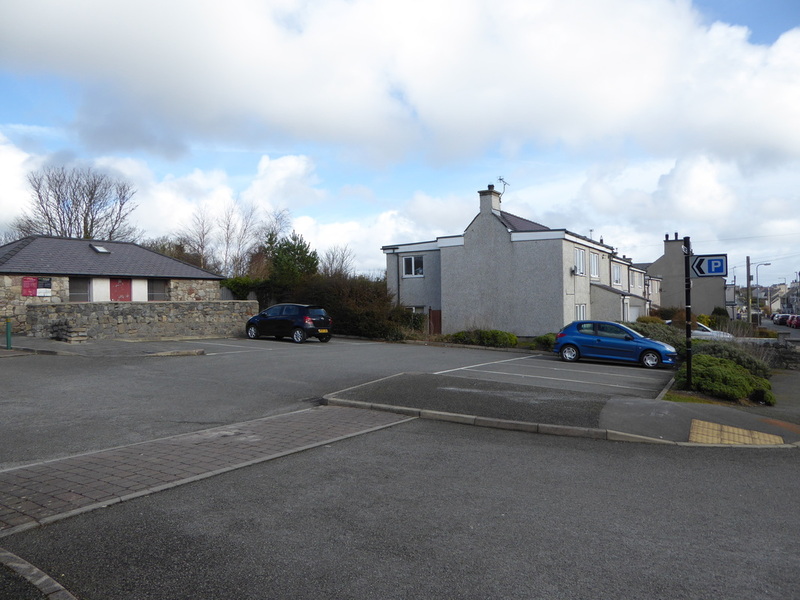 This small terrace of cottages were once the home of the Menai Straits Pilots. 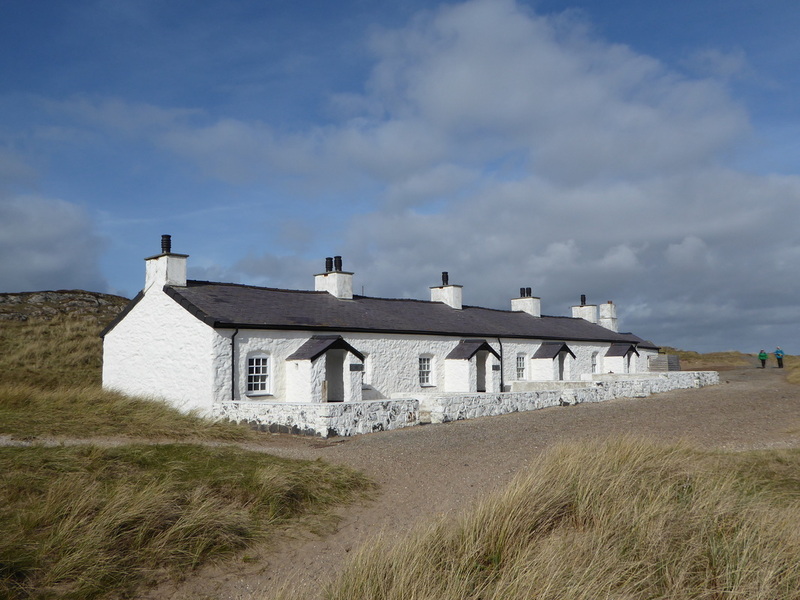 These cottages have now been converted into an Interpretation Centre which sets out the cottages as they would have looked around the end of the nineteenth century.